The middle school and high school years of a student are incredibly formative in their life. Fellowship* Youth strives to give students the opportunity to have fun, build relationships, and experience God. 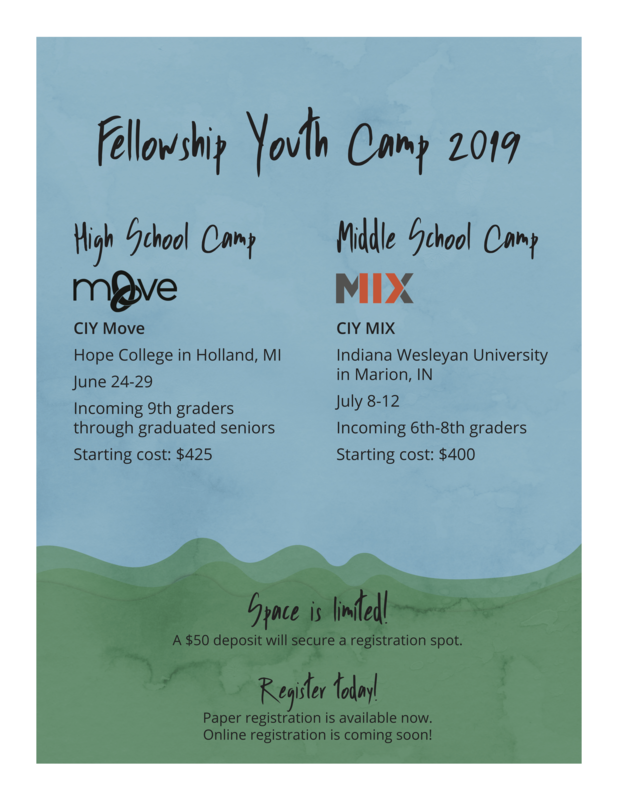 Fellowship* Youth (6th-12th grade) is where students will experience games, worship, teaching, and age-appropriate small groups. Fellowship Youth meet on Monday evenings from 6:30 - 8:00 PM at the Upper Valley campus with transportation provided from the Spring Hill campus. We are always looking for volunteers! If you are interested in joining the team contact Pastor Greg. If you have questions or would like more info, please contact Pastor Greg Nerger at . Champion City Sports provides many opportunities for youth sports. Click here to see the current activities.